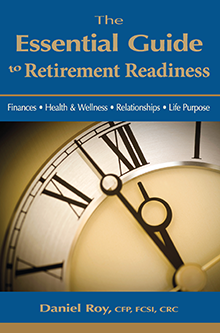 My goal as a Certified Retirement Coach is to help you get fully prepared for your life after work. Retirement planning is not simply making sure that the money will be there to support your lifestyle after you leave work. My coaching program will ensure that you are prepared to deal with the financial, emotional, physical, spiritual and psychological challenges that you will face during retirement. My program will ensure that you develop a clear vision of retirement so that your life after work will be meaningful and successful. "Retire to Something " not "Retire from Something"
I will help you define your vision of retirement and ensure that your finances are there to support it! Everybody has their own vision of what they call retirement. By clearly understanding the various issues that you will face, you will be better prepared to make decisions about the choices that you will have. Have you taken the time to dream? My process is hands-on and will engage you to discuss and reflect upon your goals, your visions, your dreams so that you can have the retirement that you want, on your terms. My goal is to help you integrate your life vision into a workable strategy! There are no shortcuts in this process as you are likely to spend 25 or more years in this new after work phase of your life! I want you to be ready to tackle these new challenges without fear or apprehension. Please contact me for greater information on our workshops and coaching program and to set up a complimentary initial interview to see how we can be of greater service to you. Start planning your after work life today!